David Sinclair, Ph.D. 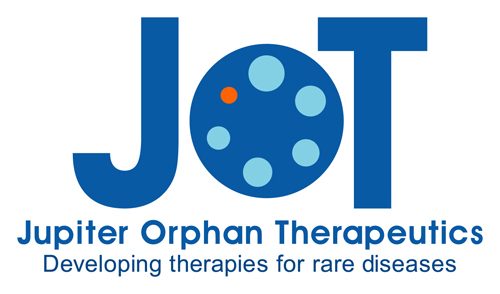 Joins Jupiter Orphan Therapeutics, Inc.
Jupiter Orphan Therapeutics, Inc. (JOT) today announced that world renowned scientist David Sinclair, Ph.D. joined JOT as Co-Chairman of its Scientific Advisory Board (SAB). “This is a fantastic addition to our company and Dr. Sinclair’s knowledge, network and reputation is very valuable to a small company like Jupiter Orphan Therapeutics” stated JOT CEO, Christer Rosén. Dr. Sinclair was contacted by his fellow scientists, Prof Martin Delatycki from Murdoch Childrens Research Institute, Australia (MCRI), who informed him of the resveratrol JOTROL product that was developed by JOT. JOT has a global license from MCRI regarding developing JOT101, a product for treatment of Friedreich’s ataxia. Dr. Sinclair, who is one of the leading scientists in the world regarding resveratrol’s benefit in various disease areas, expressed his enthusiasm of the test results achieved with JOTROL and immediately accepted a position as Co-Chairman of the JOT Scientific Advisory Board. David Sinclair, Ph.D. is the Co-Chairman of the JOT Scientific Advisory Board at Jupiter Orphan Therapeutics. 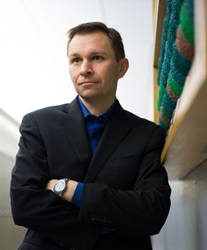 He is currently the Co-Director of the Paul F. Glenn Center for the Biology of Aging as well as the Professor of Genetics at Harvard Medical School. Dr. Sinclair has co-founded eight biotechnology companies, four of which have gone public, including Sirtris Pharmaceuticals which was sold to GlaxoSmithKline for $720M. He has 170 publications and 40 patents. Dr. Sinclair co-discovered Sirtuin activating compounds (STACs) such as resveratrol and SRT2104. Dr. Sinclair was named one of Time Magazine’s “Top 100 Most Influential People in the World” in 2014. Jupiter Orphan Pharmaceuticals, Inc., http://www.jupiterorphan.com, was formed to address rare diseases caused by, or related to, single gene deficiencies. Visit http://www.jupiterorphan.com for additional company information.